Wednesday Morning Man: Sean Teale! Eve Plumb apparently did not skip the planned Brady Bunch reunion on The Today Show this week because she can’t stand the sight of Marcia! Marcia! Marcia! The actress and painter lives in Southern California and did not want to make the trip back to New York for what would have been a fairly brief segment on the morning show. Eve had been in Manhattan just last month for a gallery opening of her artwork and to also appear with TV mom Florence Henderson in the Broadway Backwards show for charity. Her rep tells me there was no slight intended to anyone. Lost in all of this the fact that Florence Henderson herself was not going to participate because this showbiz dynamo, still going strong at 76, was on location shooting a film entitled The Bunny Lady. 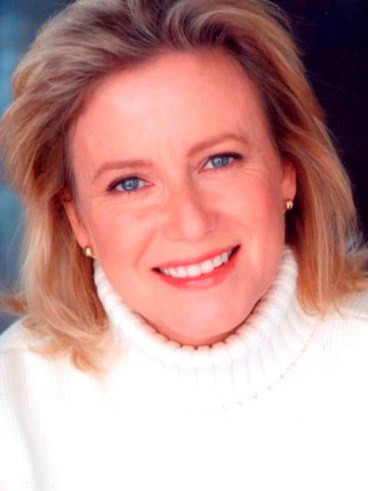 There were widespread reports that Miss Plumb, who has probably kept the lowest profile of all the Brady kid alums over the years, was upset with Maureen McCormack (Marcia) for hinting they shared a kiss as young girls which apparently is not true but did succeed in getting people talking about Maureen’s book that came out in 2008. I dunno if I really need a Brady reunion anymore anyway. I’ve got the DVDs! 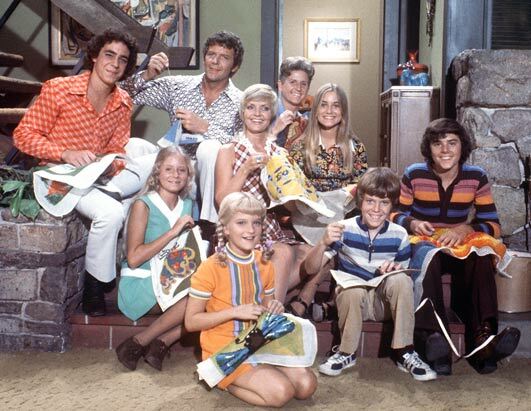 I love that photo: sewing with the Bradys! You can almost see Barry Williams’ discontent. Surprisingly–or maybe not–Robert Reed seems to be enjoying this! I wonder why she didn’t appear via satellite, then, the way Dianne Kay did earlier in the week for the “Eight Is Enough” reunion segment.